Early Red Victoria is a tried and tested variety introduced as far back as 1837 and has been one of the most popular choices ever since. Victoria is quite late to produce stalks in the springtime and will produce an impressive crop from May until August. The length of the stalks are large at 36 – 48 inches and are a lovely lavender pink colour. Victoria looks amazing in the garden with it’s large leaves and long pink stalks. 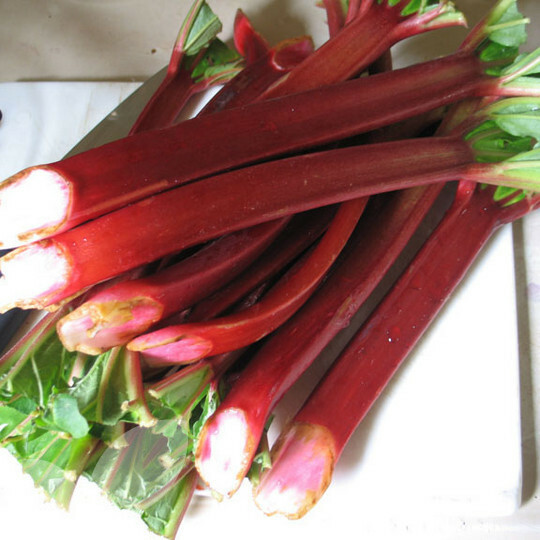 A suitable variety for indoor forcing where you will get a crop of early rhubarb from February till March. Very large sized crown delivered. Potted this up this morning and all looks very healthy.